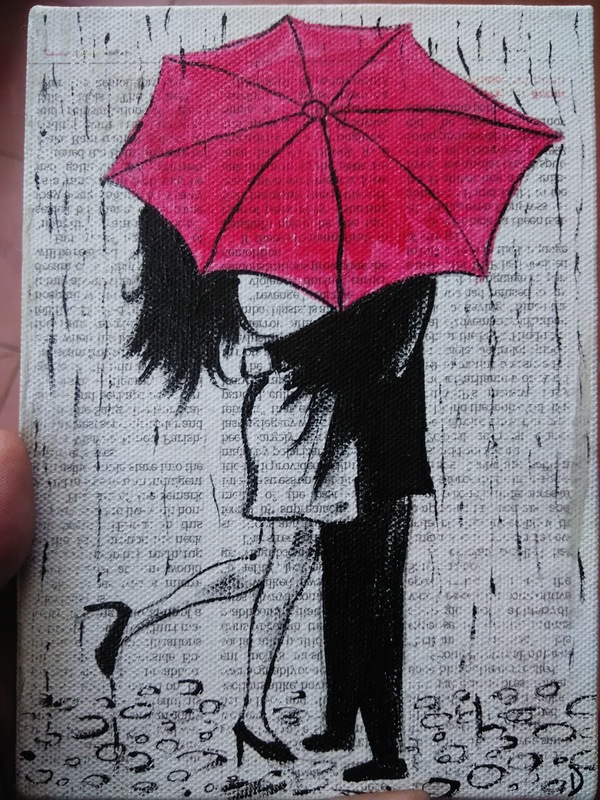 Romance in rain portrayed nicely on canvas with news paper print as a background. The news paper print as a background gives it a vintage look. 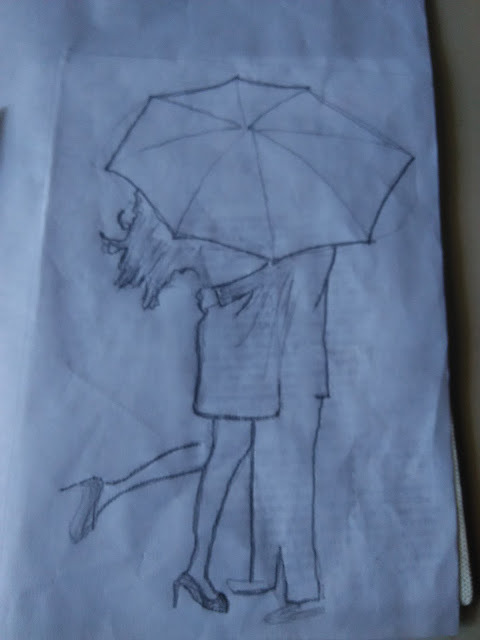 "The Red Umbrella" is a unique and beautiful gift to your partner. 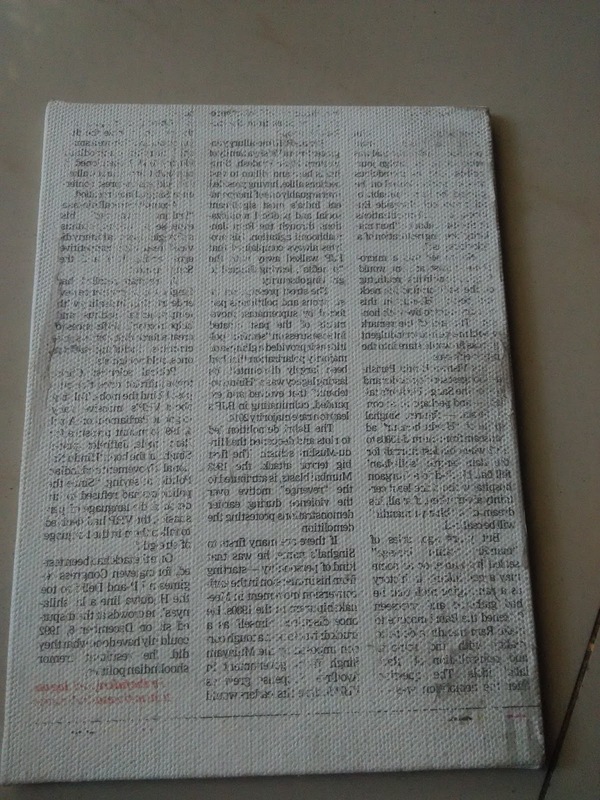 Check some of the pics which I have taken while making this painting.